That's my approach to buying Airfix now. I used to buy a lot at shows and through mail order, but I've moved to buying Airfix only from retailers I can go back to easily. Cheers, Bill. Just a month? After 6 months of waiting, they eventually told me they couldn't supply a replacement canopy for my Sea Fury and to take it back to the dealer I bought it from. It previously took over a year to get clear parts for the 1/72 Blenheim IV. Cheers, Bill. 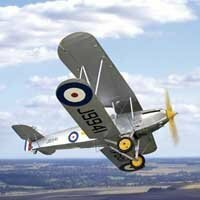 New 1/72 metal-wing Hurricane I from Arma Hobby -- Released! I just checked my account and my order (placed 01/12/2018) is still showing "in progress". Is this timescale typical? Cheers, Bill. How did you get your tracking number? I've not received one... Cheers, Bill. The Hurricane mailing list is a seperate subscription, the direct link was sent out in an email I received on Friday. Somewhere on BM I'm sure Wotjek posted about the Hurricane subscription, but I can't find the link... Cheers, Bill. Put stuff in your basket and state your country, it will give you the postal rate before you have to commit to putting in your details, Cheers, Bill. The Eduard website includes images of the kit parts, including the decal sheet. Looks like you'll need to find wing roundels and RWB tail stripes at least for any additional builds. Presumably the same will apply to the stencils, though the image isn't big enough to confirm, Cheers, Bill. My initial reaction was "not for me", but it didn't take me long to think of upscaling those Eduard FAA Hellcats I've not got around to building yet... Cheers, Bill. How does the shape of the nose measure out? I understand the research material was shared between Eduard and Special Hobby, and used towards the latter's 1/32 Tempests. The Special Hobby kits have a somewhat bloated nose profile, with enlarged spinner diameter, I wondered if this had been taken account of in Eduard's use of the data, Cheers, Bill. The Finnish example is the only surviving intact Blenheim though, Airfix got caught out on the 1/72 kits by basing them on a Bolingbroke/Blenheim hybrid airframe. Cheers, Bill. Airfix Sea Fury - aftermarket canopy? Thanks, I'll see about ordering one, Cheers, Bill. I'm looking for a replacement canopy for Airfix's 1/48 Sea Fury, the only ones I can find are from the Falcon set, and the individual Squadron moulding, both intended fro the old Hobbycraft kit, and presumably the same basic moulding. Has anyone used one of these on the Airfix kit - if so, does it fit well? Otherwise, does anyone know of any other options on the horizon? Cheers, Bill. That's not strictly true. The second pilot's position was a bolt-in, bolt-out kit which could be applied to any Wellington. How often it was used I don't know, but what Trumpeter provides matches the configuration of the Hendon/Cosford Wellington, Cheers, Bill. It's five years since the big Typhoon, if it's rumoured profitability is correct, then even with tightened purse strings it wouldn't surprise me to see something equally ambitious. The current big Spitfire tooling is well past it's best, what chance it gets replaced? Cheers, Bill.